Blockchain and FinTech firm Blackmoon Financial Group has announced multiple partnerships with reputable firms to assist in the creation of branded Exchange Traded Indexes (ETx). Blackmoon is a group of financial services and technology companies founded in 2014. It aims to create and maintain the world’s best framework for tokenized investment vehicles to deliver investment opportunities in both the real world and the blockchain universe. Blackmoon’s platform claims to bring blockchain flexibility to fiat instruments and the benefits of accumulated financial wisdom to crypto investments. In its announcement, Blackmoon said that it has partnered with Daneel.io, Plato Technologies Inc., Dr. Werner & Partner, Jarvis International Ltd., Rivver and FintechSauce to create a showcase of investable ETxs that track the performance of a multitude of products, services and sentiment indexes that these firms offer. 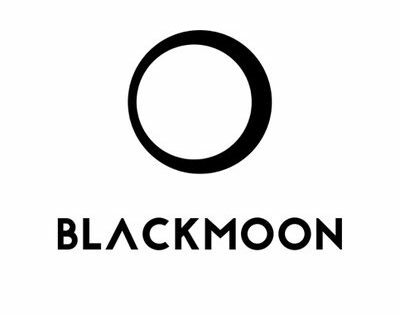 According to Blackmoon, the ETx that it issues on behalf of its partners’ brands incentivize traders and speculators to take the risk in the market, by offering them a fungible financial product to arbitrage for profit – further adding bids and offers to a security token offering (STO) that would otherwise not exist – effectively creating a balanced and stable price. Daneel said the their partnership with Blackmoon will allow them to turn their sentiment API into a feed for an investible ETx to enable investors to invest in the hype of a particular set of cryptocurrencies. Their ultimate goal will be to have an entire suite of innovative ETx’s to offer their own clients as well as those of their partners. “As soon as we met in Malta Blockchain Summit, we were directly aligned with market expectations and the collaboration was the logical next step, we are eager to see how investors will react to this new kind of indices made possible by the AI,” said Harold Kinet, Head of Communication at Daneel. Fintechsauce will roll out a few ETx’s with Blackmoon whose goal will be to create investable ETx’s that track FintechSauce’s investable products. The ETx developed with Rivver, on the other hand, will track their issued digital assets in real time. Jarvis Exchange’s ETx will track the performance of a variety coin sets such as “most-traded” and “most-volatile” on the Jarvis Exchange. While Plato’s “On-the-fly” ETxs aim to provide investors with direct access to Plato’s real-time strategies.